Your library will need to be updated with Destiny 10.0 or higher to use the Destiny Quest Mobile App Go beyond the walls of your library with the Destiny Quest Mobile App! Search your library catalog anytime, anywhere! 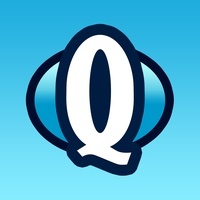 Available for the iPhone, iPod Touch and iPad, this app puts the powerful searching capabilities of Destiny Quest in the palm of your hand. What can do with the Destiny Quest Mobile App? An intuitive, easy to use app allows you to Search for resources in your library Submit and read ratings and reviews Place holds and add items to My List Discover the Top 10 Most Popular titles and New Books at your library Maintain lists of books you’re Now Reading, Want to Read and Have Read View your Account information including checkouts, holds and outstanding fines Use the Resource Lists posted by Teachers & Librarians, to find resources on the topics discussed in class. Your access to these features will be set up by your librarian. Contact your librarian if you have any questions. To learn more about the features in the Destiny Quest Mobile app visit http//www.follettsoftware.com/destinyquestmobile Destiny Mobile Quest app makes it so you’re connected to the library. Your library will need to be using Destiny 10.0 or higher to use this app , so check with your Librarian first. Want a better eBook reading experience? Using the Destiny Quest app, students can browse their library's Follett eBook collection, check out a Follett eBook using the free Follett Digital Reader app and read their Follett eBook anytime, anywhere from a tablet device. Check these links to find your download for Destiny Quest for & iOS or for your device iPod TouchiPadiPhone. The app Destiny Quest is compatible with te following devices.